Right here at ALWAYS in the MIDDLE, I have a review of ZORA & ME—THE CURSED GROUND by T.R. Simon. Click the red button to reach the review and do the same for each of the other sites below. June McCrary Jacobs at ‘Reading, Writing, & Stitch-Metic’ features a S.T.E.A.M. handbook, ‘Rock Collecting for Kids: An Introduction to Geology’. Susan Uhlig has a double treat for us… First is a recommendation for JUST UNDER THE CLOUDS by Melissa Sarno. Susan’s second offering today is the enjoyable SQUIRM by Carl Hiaasen. Faith Hough at LIFE’S AN ART! joins us this week with a review of The Enchanted Sonata, by Heather Dixon. Completely Full Bookshelf is recommending Sheets by Brenna Thummler. Patricia Tilton at Children’s Books Heal is reviewing Reprisal by Michelle Isenhoff, the exciting conclusion to her dystopian Recompense series. Beth Mitchell at Imaginary Friends has a review of of Al Capone Throws Me a Curve by Gennifer Choldenk. Andrea Mack at That’s Another Story starts her review year off with a non-fiction title—FLY WITH ME. Rosi Hollinbeck returns from holiday break with a double review: Good Dog, McTavish & Little Lunch: Triple Treats. There’s also a GIVEAWAY and be sure to click on her links for writers. 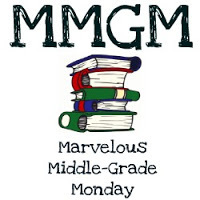 Karen Yingling at Ms. Yingling Reads always has an informative MMGM post. Be sure to check out today’s feature and all of her other reviews the past week.